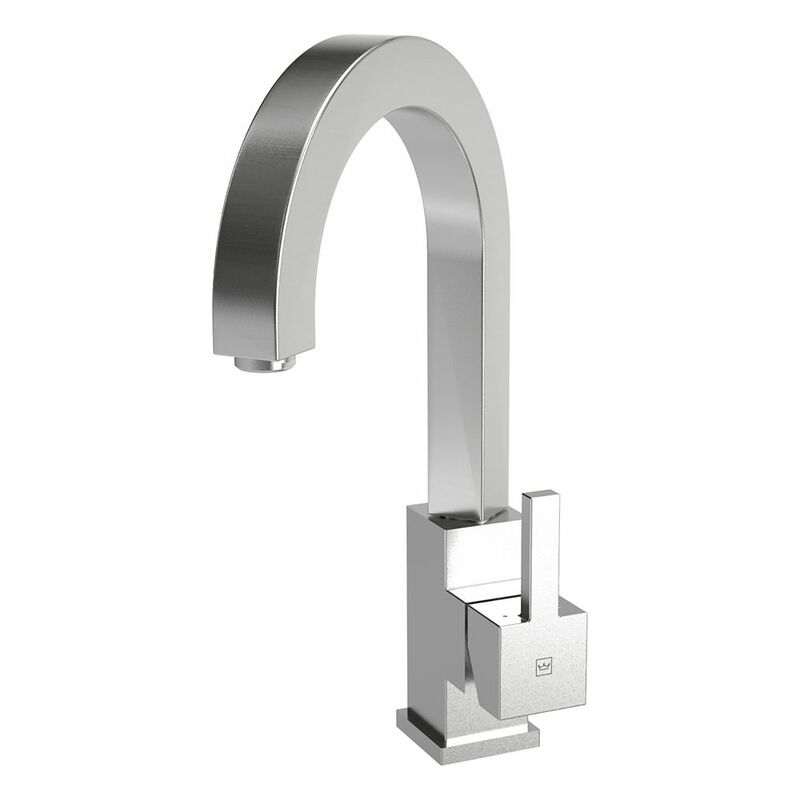 Cube style high arc stainless steel faucet with smooth, single handle operation and swivel. Faucet features aerated stream flow, and easy to change ceramic disc valve, and is water saver rated at 2.2 USGPM. Solid stainless steel construction with satin finish for a perfect match to commercial finish appliances and sink. Can accommodate a countertop thickness of 1.5 inches. Ribbon Style Arc faucet Cube style high arc stainless steel faucet with smooth, single handle operation and swivel. Faucet features aerated stream flow, and easy to change ceramic disc valve, and is water saver rated at 2.2 USGPM. Solid stainless steel construction with satin finish for a perfect match to commercial finish appliances and sink. Can accommodate a countertop thickness of 1.5 inches.